Everyone has their go to apps on their smart-phones or their tablets. For some people recently it may have been Flappy Bird, a maddening pixelated app that, until the developer pulled, had been the topic of many water cooler conversations as well as schools across our nation. Then there’s Candy Crush, another wildly popular download. Yet for other people, their favorite app may be more productive. No matter what your favorite app or app category, if you're truly looking to take advantage of technology then look no further than Evernote. Available across a wide variety of devices, Evernote transfers notes and attachments across all your devices, including Apple or iOS, Android, and Windows. Evernote is useful in so many ways no matter where you are or what you're doing. Here are just some of the ways to use Evernote in both your personal and professional life. If you've ever been involved in a project or planning you know it's inevitable that often our best ideas come at the most inopportune times. With Evernote, you can quickly make note of those thoughts and create tags so that you can reference your information at a later time. Create “To Do” lists that with a quick touch of your screen or a click of your mouse. Other uses for Evernote could include a recipe notebook, journaling, manage receipts, or saving your favorite pictures. That’s right, Evernote is designed so that you can attach numerous different files and formats inside your notes. There seems to me no limit to the apps ability to keep its users organized. 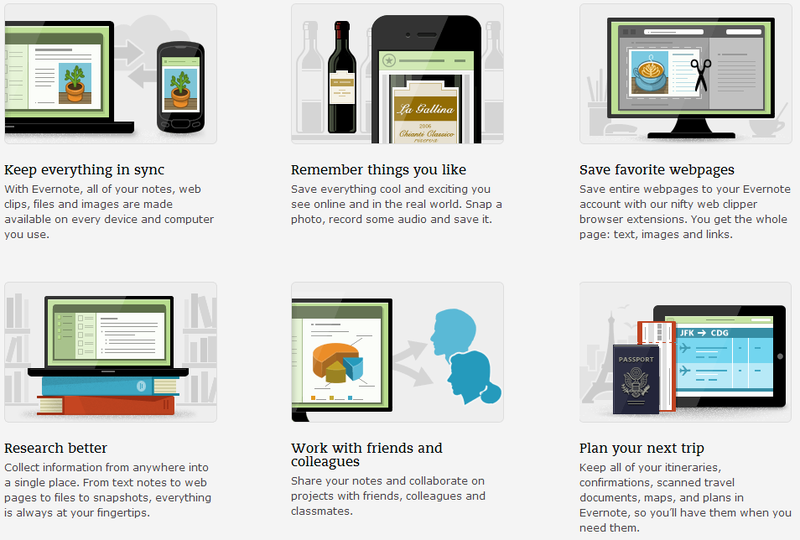 Do you use Evernote? Share your tips and tricks with us on Facebook. Otherwise let us know what your favorite go to apps are on your devices.